Eye Exams for people of all ages! The average child will see the dentist 160 times during their lifetime but only have their eyes examined 16 times! 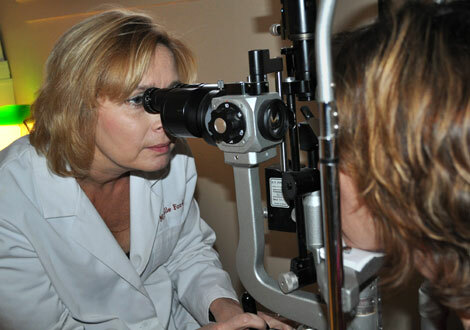 She will determine if you need additional testing or if your vision is perfectly normal! Dr. Ford will write a prescription for glasses or contact lenses on the spot right after your eye exam is completed. You can conveniently have the prescription filled and select a beautiful, trendy or designer pair of frames right here in our office for truly a 1 stop eye exam and eyewear shopping experience. 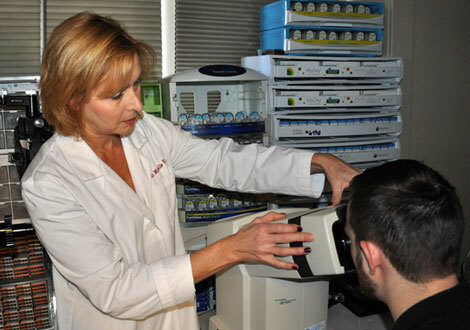 Baseline glaucoma tests could be warranted in many circumstances such as diabetic patients. Come in for a comprehensive eye exam and we will discuss your medical history and current health to determine if additional testing is necessary. 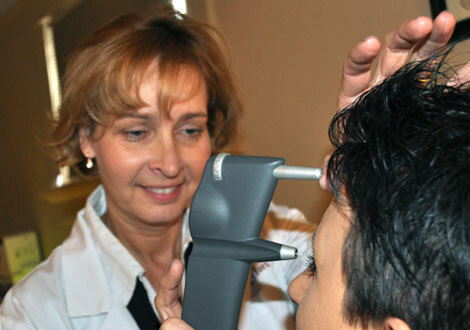 In addition to visual field testing, Dr. Ford can perform nearly any type of eye exam or ophthalmic exam needed. We test and screen vision for problems associated with diabetes. Appointments are available now. Call Adolph Optical at 330-253-7977 to schedule a convenient eye exam or test now! This is a normal or routine eye exam. Commonly performed to determine oncoming symptoms of glaucoma. This procedure helps with evaluation of many aspects of eye health. Eye chart test to determine near or farsightedness. Specialty fittings for astigmatism and presbyopia. This test is used to diagnose the health of your eyes.